-A must for Toad fans!!! 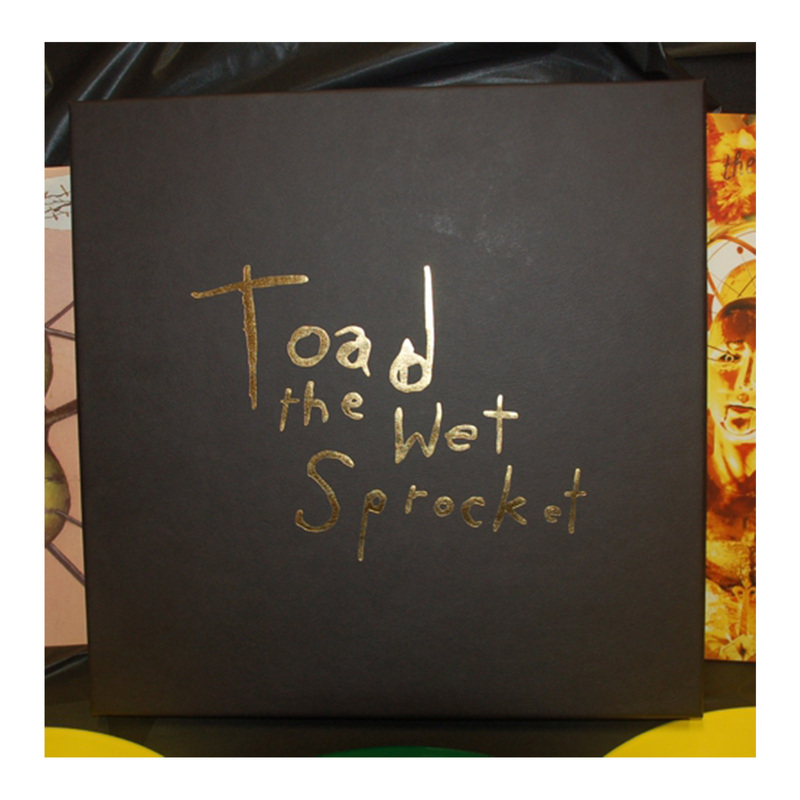 Beautifully crafted 5 LP box set from Toad The Wet Sprocket featuring three albums (Fear, Dulcinea and Acoustic Dance Party). 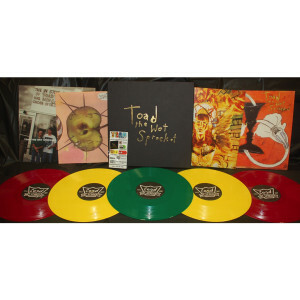 All three records have never been available on vinyl in the USA and now come fully remastered just for this release. 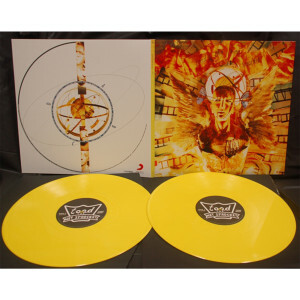 -Fear comes on 2 Gold LPs, in a custom, gatefold jacket, Dulcinea is on 2 Orange LPs, comes in a custom gatefold jacket and features a bonus track (“Hope”) that was only on the European release and never in the US. 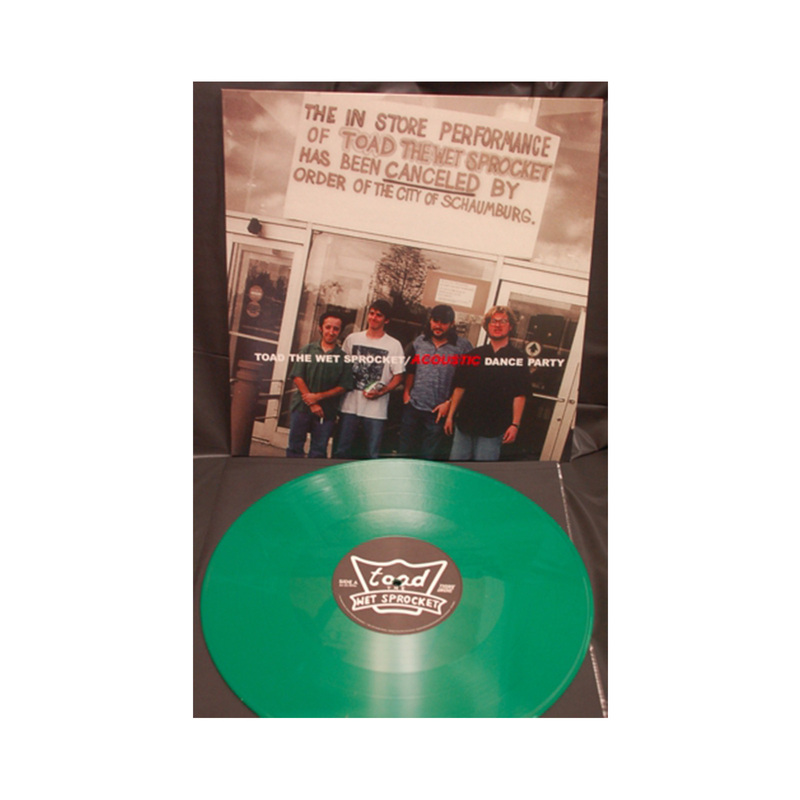 Acoustic Dance Party was only available as a Promo CD and will be on a single Green LP in a single pocket jacket. 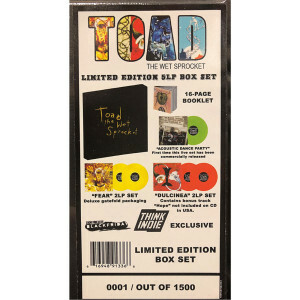 -Also included in this box set is a gorgeous 16 page booklet with liner notes and lyrics for all three albums. 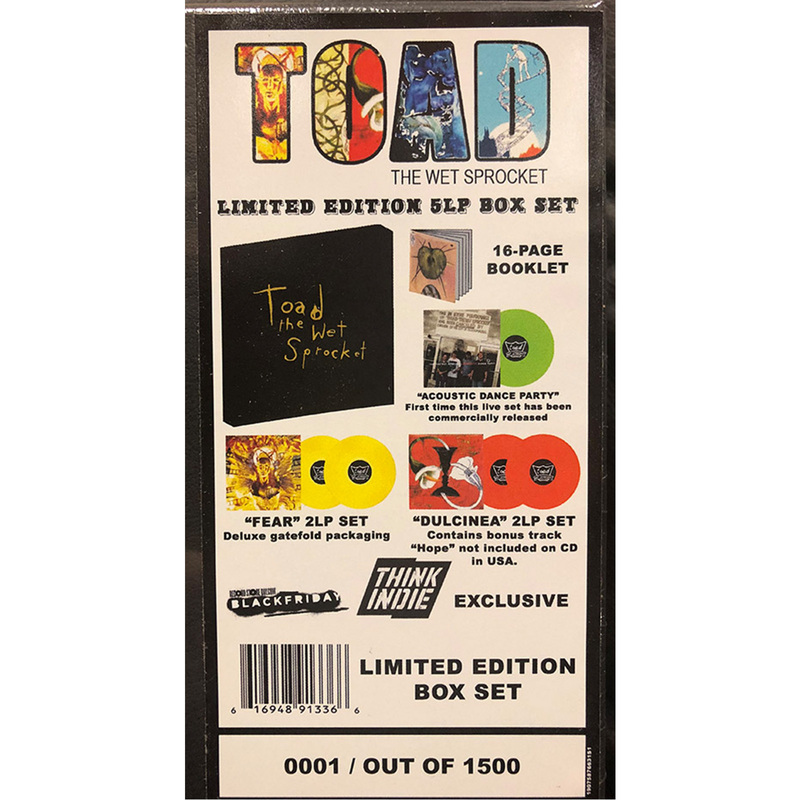 -Housing this 5 LP set is a stunning Black 12x12 Box with a custom foil stamped logo on the front cover and a textured fabric top. Please note: this item is available for pre-order. All items in your cart, including in-stock items, will ship on or around December 27, 2018. Orders are not guaranteed to arrive before Christmas. 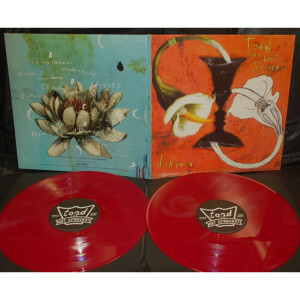 If you would like to receive other items sooner, please place a separate order.